This beer should combine two of my favorite things; hops and a low ABV beer (session ale). Lots of breweries have jumped on the hoppy session beer lately including Founders All Day IPA, Lagunitas DayTime and more recently Stone’s Go To IPA (which I have not tried yet). 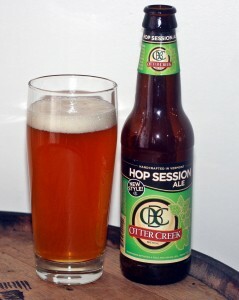 Unlike these others Otter Creek decided to make theirs a pale and release it during the winter. Seems like a spring/summer would have been better timing for this beer. Hop Session pours a nice orange color with a single finger white head. Aroma is mostly grassy hops and fairly mild. Taste was OK with slight citrus and floral flavors. Seemed a bit watered down which is not that uncommon for low ABV beers. 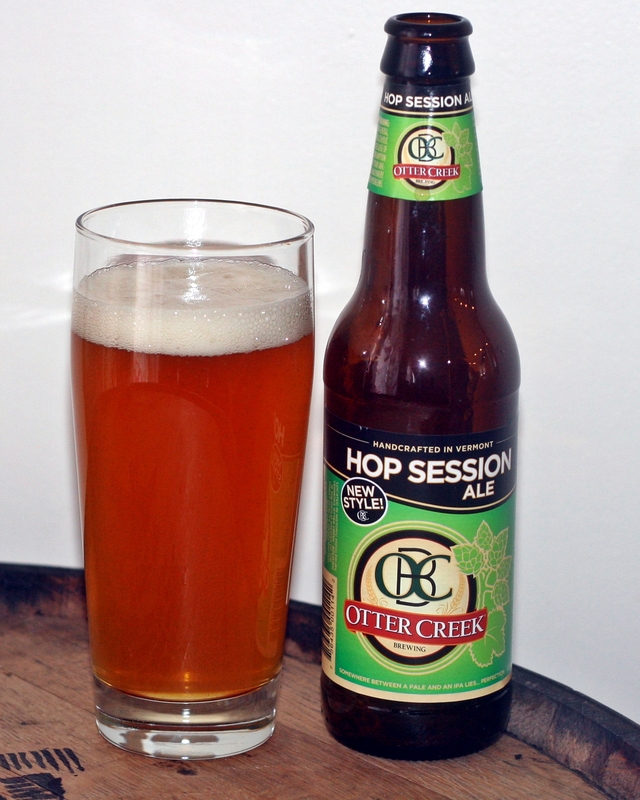 Otter Creek Hop Session Ale was released in Spring of 2013. It’s one of Otter Creek’s year round offerings, so that’s why its available during the winter.